WEEKI WACHEE, Florida (Jan. 30, 2018) — For the second year in a row, Marker 48 Brewing will offer a promotion that will give participants a chance to win magnificent prizes at the end of the year, as well as pours of unique one-off beers throughout 2018. The Smallbatch Beer Program proved to be such a success in 2017 that the brewery is eager to do it again. The Beers: Our brewers and select guest brewers have committed to brewing 48 different small-batch beers, one new beer every week. These beers will allow our brewers and guest brewers to explore creative and experimental brewing — everything from sours to barrel-aged beers, and many styles in between. The Promotion: Marker 48 is offering a VERY LIMITED number of Smallbatch Beer Books for sale. These books allow customers to receive one FREE small-batch beer per week or half-off bomber bottles of the week’s small-batch beers (when available). The books cost $100 each and are on sale in the tasting room, 12147 Cortez Blvd. (S.R. 50), Weeki Wachee, Florida, beginning Feb. 1. In addition to the 48 free beers, book holders will receive a stamp for each Smallbatch Beer drank. The Prizes: At the end of the year those individuals who have all 48 stamps will get an exclusive Marker 48 Smallbatch Beer shirt AND a special 20 oz. glass to be kept in the brewery to receive pours core beers throughout 2019 for the same price as 16 oz. beers. Depending on the number of stamps required, book holders will also be qualified to win end of the year grand prizes. A one-night stay with one guest, hosted by Marker 48, on a private island on the Homosassa River and a half-day fishing inshore charter with a guide captain. 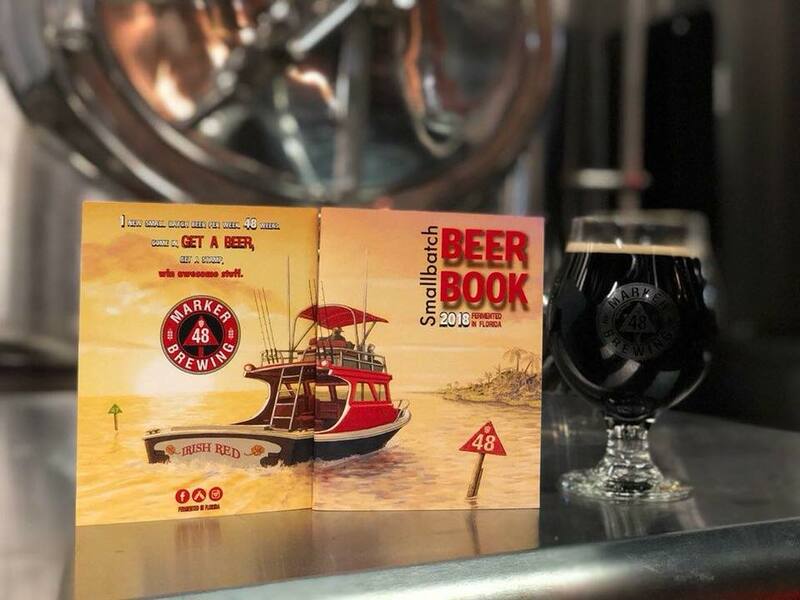 New for this year: All books with 48 stamps will be entered to win two VIP tickets to a 2019 Tampa Bay area beer festival of Marker 48’s choice, accompanied by either the owners or brewers. 2017 grand-prize winner, Debbie Garda. You must purchase a Smallbatch Beer Book to receive the stamps and qualify for the prizes but you do not have to have a book to come in and order each week’s Smallbatch Beers. The winners for the 2017 program were announced during a drawing on Wednesday, Jan. 17, and the grand-prize winner’s name is Debbie Garda. In addition to the tangible prizes, there are other advantages to being a member of the Smallbatch Beer program, Halley said. 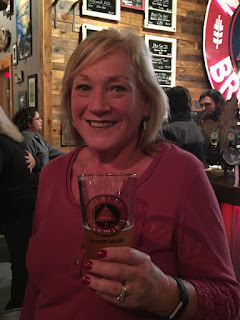 In the inaugural year, a group of regular customers who purchased the passport books banded together to meet in the tasting room for each new release. The passport books are currently on sale in the taproom, and the first beer in the program will be released Wednesday, Feb. 7. Check the Marker 48 Facebook page or Twitter account for announcements on subsequent releases. For more information on Marker 48 Brewing, please visit their Facebook page. 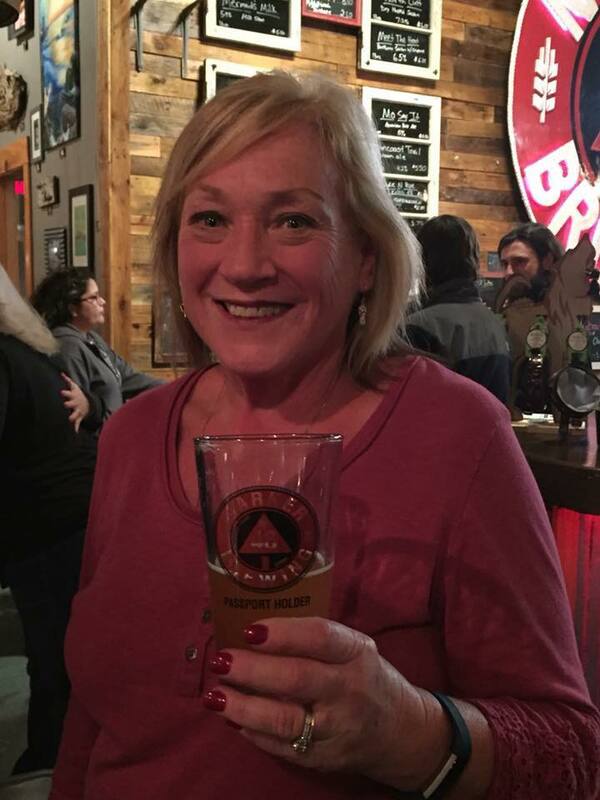 Marker 48 Brewing is a 7-barrel craft brewery with a 32-tap tasting room in Weeki Wachee, Florida, founded by Hernando County natives Maurice and Tina Ryman. Regular hours are Monday, 3 to 10 p.m.; Wed-Thurs., noon to 10 p.m.; Fri. and Sat., noon to midnight; and Sun. noon to 8:30 p.m. The address is 12147 Cortez Blvd. (S.R. 50), Weeki Wachee, FL 34613. Phone: (352) 606-2509. Thank you for sharing more interesting and wonderful information with us. You are doing good job. Nice!If you want to improve your writing skills visit my blog best essay writing service. I'm not sure I can ever go back to any other place, after an experience like this. This place is appropriate in a space that lends so much gravitas to events. The design of rental spaces for parties is sharp and environment is unbelievably good.